Join us for the8th running bg26.2 & half marathon in a race against Multiple Sclerosis. The Boston Marathon qualifying USATF certified course (13.1 mile loop) starts at the Bowling Green Ball Park and runs through historic downtown Bowling Green, Kentucky and the beautiful WKU campus. (Marathoners will run the Boston Marathon qualifying course twice.) Runners will finish at the Bowling Green Ball Park. Registered participants will receive a goodie bag and tech shirt. Finishers will receive a finisher’s medal and finish area refreshments. 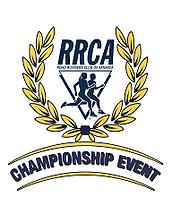 The bg26.2 half marathon is a RRCA Kentucky State Championship event. Awards will be given to overall male and female open, masters (40+), grand masters (50+), and senior grand masters (60+) in the bg26.2 half marathon. Marathon awards to First, Second and Third Place male/female finishers. and push rim wheelchair division. Awards also given for 1st thru 3rd place age group winners. 16-19, 20-24, 25-29, 30-34, 35-39, 40-44, 45-49, 50-54, 55-59, 60-69, and 70 & over. The minimum age requirement for the bg26.2 marathon is 16 years old. Half marathon awards to First, Second and Third Place male/female finishers. and 1st thru 3rd place in age group divisions. 12-15, 16-19, 20-24, 25-29, 30-34, 35-39, 40-44, 45-49, 50-54, 55-59, 60-69, and 70 & over. The minimum age requirement for the half marathon is 12 years old.